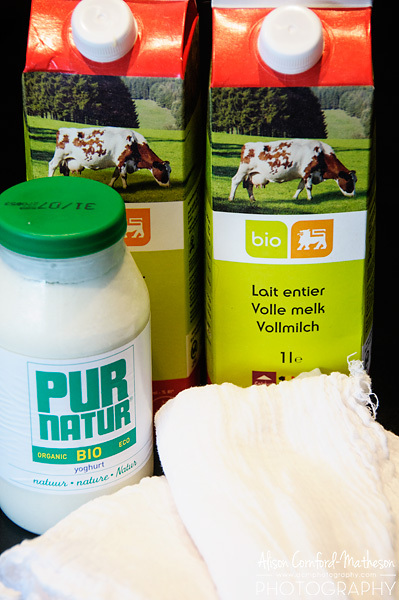 Reading through all of the wonderful recipes our Brussels Food Friends members post, I was feeling a little left out. While there are a few recipes way back in the CheeseWeb archives, it’s not something we post these days. I wanted to share some of my favourite recipes, so when the opportunity to post them here on our BxlFF website arose, I jumped at the chance. But where to start? Inspiration hit, when once again, I was asked if I write about cheese. (Now wherever would they get that idea?) 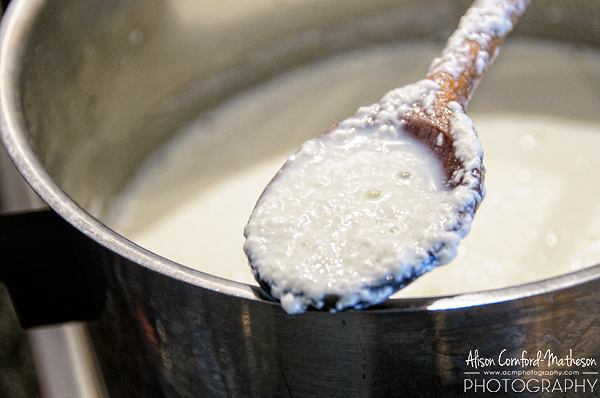 So, I decided I’d share a series of my favourite cheese recipes with you here. 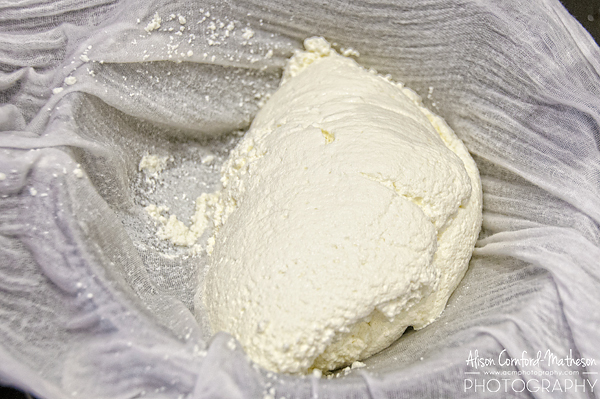 Since I love Indian food as much as I love cheese, my first recipe is for Paneer, an Indian cheese. 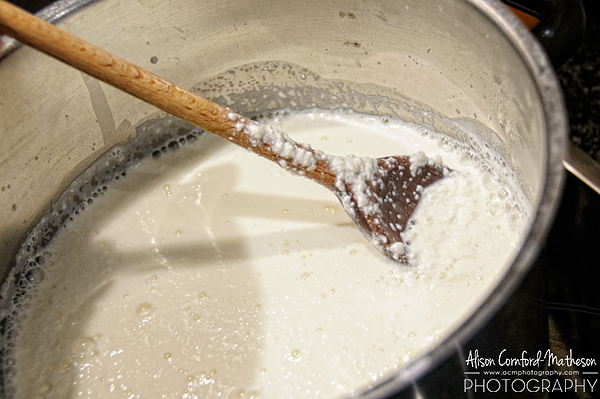 Pour all of your milk into the pot and slowly bring it to almost boiling. Make sure you have plenty of room in the pot so it doesn’t boil over (a little lesson learned. Ahem.) 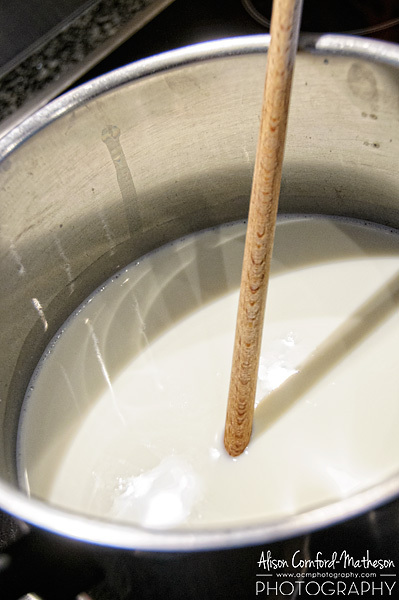 Keep stirring the milk as it heats to avoid it scalding and sticking to the bottom. 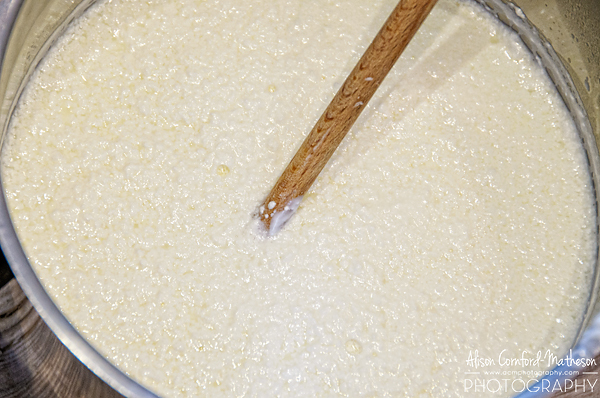 Your milk will start to curdle and you’ll begin to see curds forming. 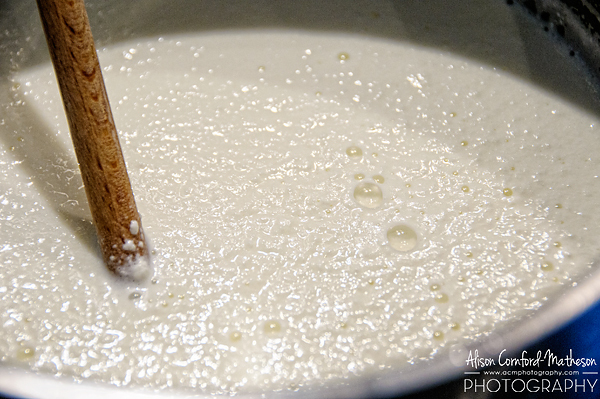 Keep stirring. 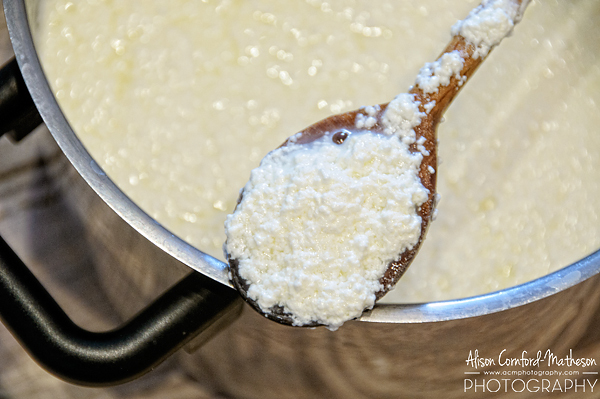 If you aren’t getting many curds and/or your milk isn’t separating add more yogurt. 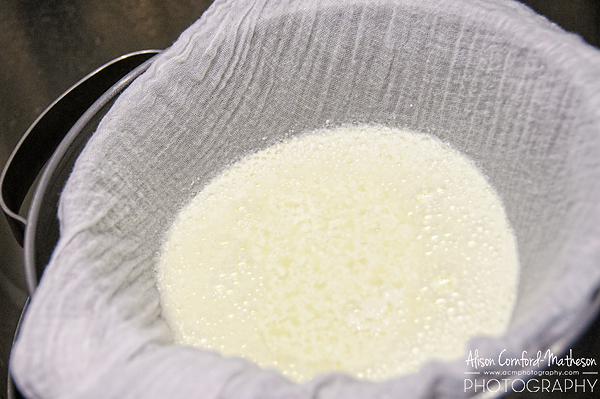 Eventually (for me it usually takes about 5 minutes) your curds will be fully formed and the liquid left will be almost clear. 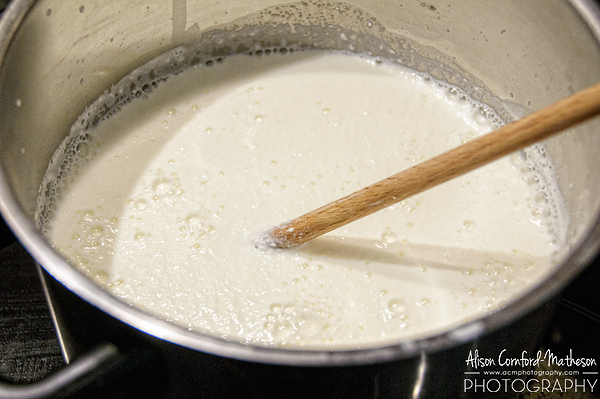 (If it’s still quite milky looking, keep heating, stirring, and adding yogurt.) When this happens it’s time to strain. 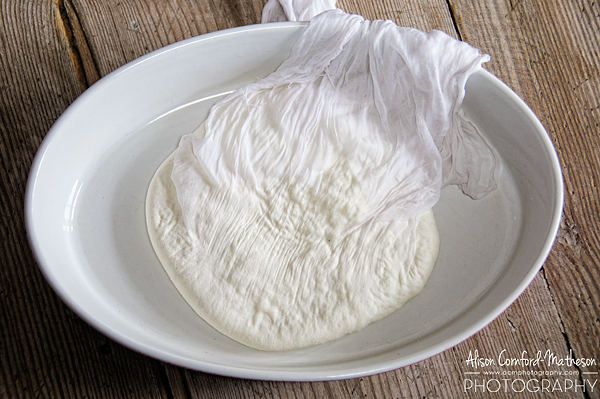 Run some cold water over and through your curds so they are easier to handle and start to twist and squeeze your cheesecloth. Get as much of the water out as you can. I then hang mine over the sink for about ten minutes before giving it another good squeeze and twist. 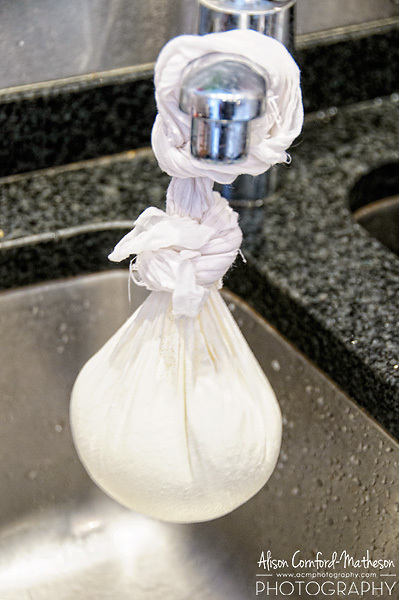 Once you have as much water as possible out, flatten your cheese to about a centimetre or so thick (still inside the cloth) and place something heavy on top to flatten it. I put mine inside a casserole dish and then place the pot I made the cheese in on top, filled with water for extra weight. Now leave your cheese for a few hours. 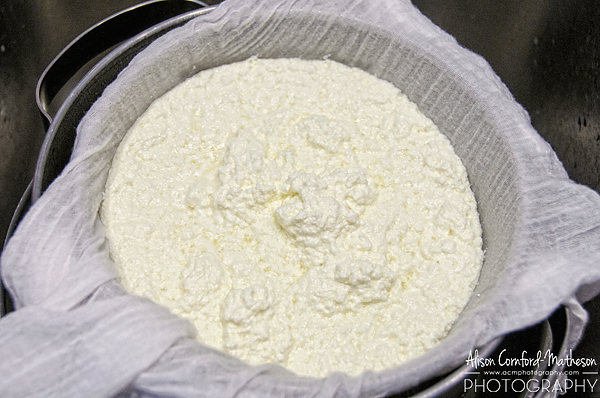 This final stage will squeeze out more water and help solidify your paneer. When it’s ready, simply cut it to whatever size you like and use it in your favourite curry. 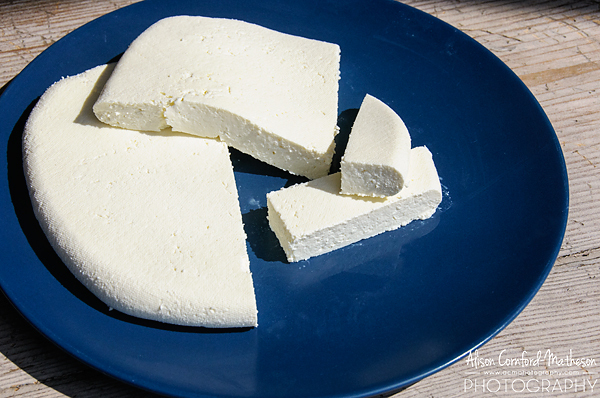 You can also grill or fry paneer, like haloumi, or use it as you would use tofu.